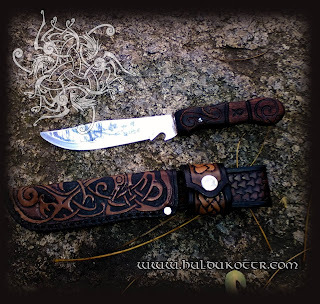 HULDUKÖTTR - Norse and Germanic Art: Knife and sheat! My oldest knife needed some restoration, so I designed a sheat based on Mammen style. 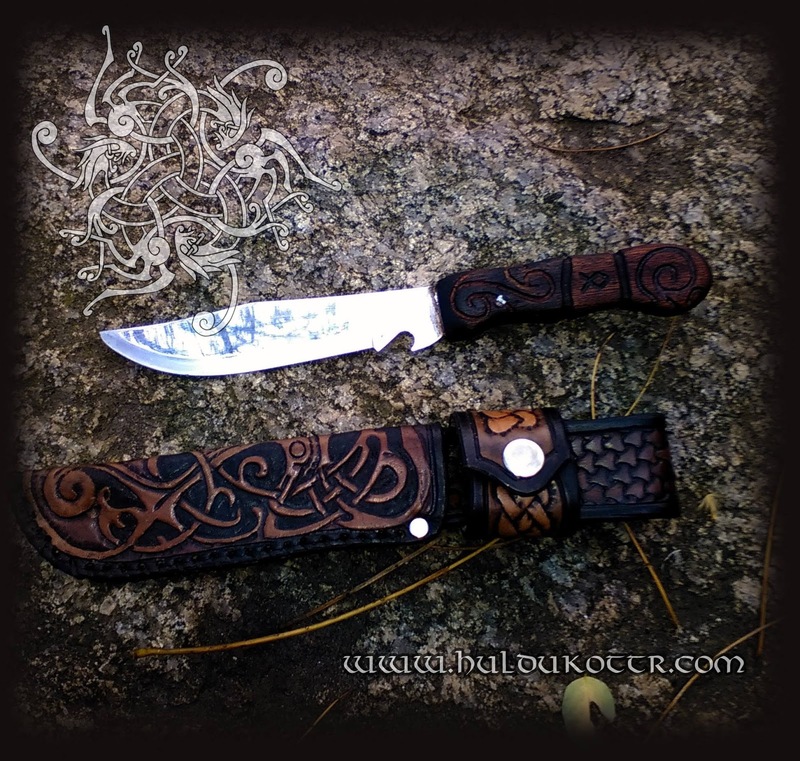 The handle was made using an old piece of walnut that was out there at home. 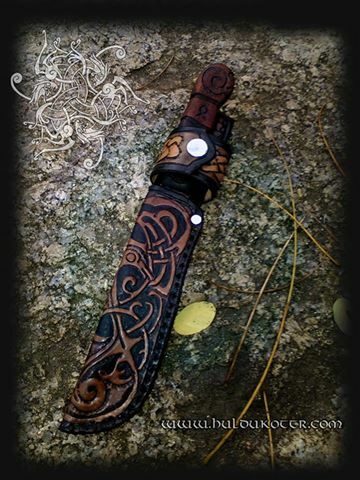 Perhaps it's time to start making knife handles with wood and bone...do you think it's a good idea?